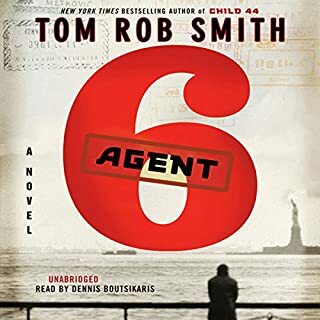 Where does Agent 6 rank among all the audiobooks you’ve listened to so far? We like to listen to books while traveling. It makes the time go so much faster. This book was a little slow initially and didn't really get really interesting until the second half. We like to listen to books with fast action and lots of plot changes so this one was not up to our favorites but it was interesting enough to keep us engaged to the end. There was a lot to learn about the old Communist society and how it related to the US. He is an entertaining reader and his use of different voices keep things interesting.